Dr. Hans Friederich will serve another three-year term as Director General of INBAR. At its Tenth Meeting in November, the INBAR Council unanimously accepted the Board of Trustees’ proposal to appoint Dr. Hans Friederich, Director General of INBAR, for a second three-year term ending in 2020. Dr. Friederich joined INBAR as Director in 2014. During this time, he has led INBAR’s shift from a research- to development-based organisation. In INBAR’s 2015-2030 Strategy, Dr. Friederich noted that, “Building on its past expertise in research on bamboo and rattan, INBAR is becoming a development network that supports countries to use [bamboo and rattan] to improve their environmental security and the livelihoods of their rural populations.” INBAR is doing this by building “a development network that facilitates and synthesizes research, creates and shares knowledge, facilitates learning and promotes best practices”. This has been evidenced in a number of INBAR projects. The second phase of the IFAD- and EU-funded South-South Knowledge Transfer Strategies project kicked off in 2014. In 2016, INBAR commenced its first trilateral project between China, the Netherlands and three countries in East Africa. And INBAR is also working on an ambitious land restoration project in Ethiopia, as part of a larger World Bank-funded initiative. Since 2014, INBAR has also become a larger part of the international conversation surrounding key environmental and sustainability issues. The organisation welcomes several new members – Brazil, Liberia, Malawi, and Thailand. On behalf of INBAR, Dr. Friederich spoke for the first time at the plenary session in UNFCCC’s COP20 in Peru, and all subsequent COPs; took part in China’s inaugural Belt and Road Forum in Beijing, 2017; and has been made a Member of the China Council for International Cooperation on Environment and Development (CCICED). In 2015, INBAR also launched the Global Assessment of Bamboo and Rattan (GABAR): a flagship initiative which aims to ‘unlock’ the potential of bamboo and rattan by providing much-needed information about these species’ properties, uses and distribution for policy makers and investors. The programme is already conducting assessments using innovative mapping technology across several countries in East Africa. In November 2017, Dr. Friederich presided over INBAR’s 20th anniversary, and welcomed a congratulatory message from China’s President Xi Jinping. 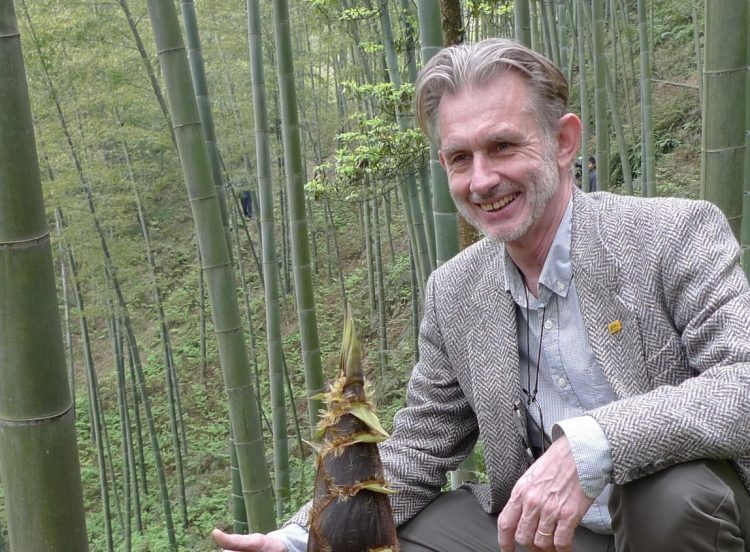 Dr. Friederich will also lead INBAR into the Global Bamboo and Rattan Congress, which will take place from 25 to 27 June next year: the first international congress of its kind and an ideal global platform to promote these plants’ many uses. Finally, INBAR hopes to be made an Observer to the UN General Assembly by the end of this year – a huge achievements, and one that will enable INBAR to take part in the top level of international discussions around important issues.